Perfect for conducting or escaping business, Executive One Bedroom units average 1,050 sq. ft. (98m2) with two full bathrooms. It is the perfect unit to set up your laptop or spread out the Sunday paper. 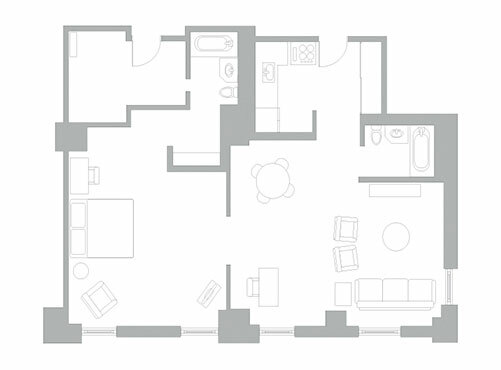 Like all Club Residences, Executive One Bedroom units feature a full kitchen and separate living and dining areas. Between visits, Owners may store clothing and other personal items in a personal wardrobe locker which is placed in their Residence prior to the Owner’s arrival.